Acqua Dots in a Swirl of Chocolate over Sterling Silver, our MIRO Designs in PERLAVITA featuring Vermeil, Gold plated Sterling Silver Inserts. 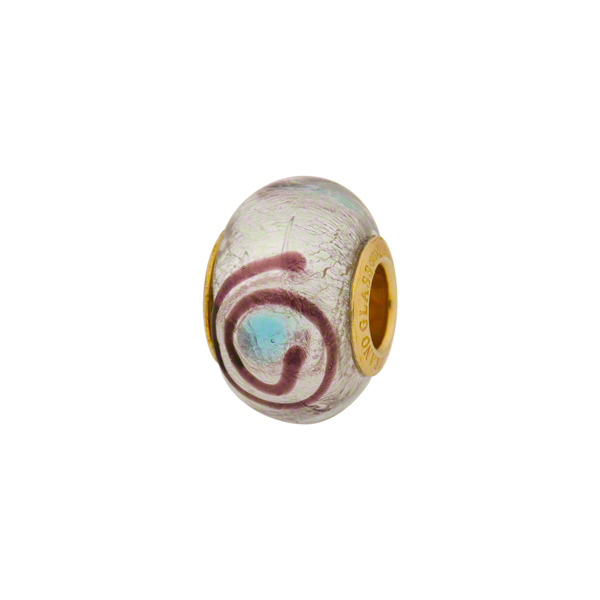 Size is approximately 15x10mm with a 4.7mm hole which fits popular bracelets. Authentic Murano Glass and Italian Silver.